What insurances are accepted in the office? Our office accepts many insurances including Aetna, Ameritas, Anthem, Assurant, Blue Cross, Blue Shield, Cigna, Delta Dental PPO, First Dental Health, Guardian, Humana, Metlife, Principal, United Concordia, and United Healthcare. What additional languages are spoken in the office? Dr. Lai speaks Cantonese and Dr. Yi speaks Mandarin. Do your offer weekend appointments? 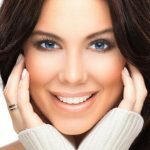 What type of whitening services are provided in office? We offer ZOOM! 1-hour whitening and take home custom trays with whitening gel. Does your office provide cosmetic restoration services? Yes, we are providers of Lumineers, traditional veneers, and cosmetic bonding. 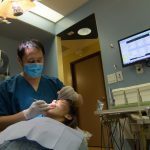 Does your office provide implant services? Yes, we provide both implant placement and restoration in office. Does your office provide Invisalign treatment? Yes, both Dr. Lai and Dr. Yi are providers of Invisalign treatment.